Gently shaped in 18ct white gold, this elegant ring is embellished with a row of glistening diamonds. Combining classic elements with a contemporary design, this ring makes for a timeless wedding band. 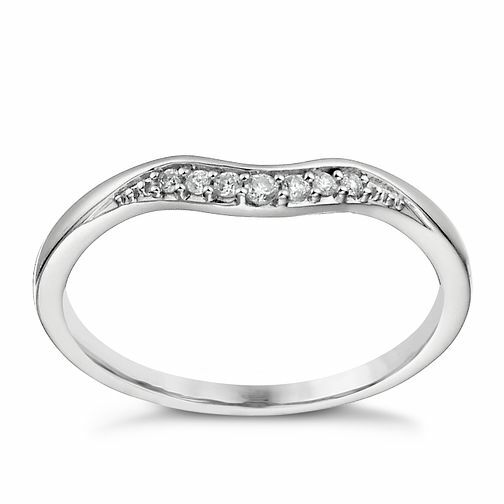 18ct white gold diamond set shaped ring is rated 5.0 out of 5 by 2. Rated 5 out of 5 by Anonymous from Love it fits beautifully with my engagement ring, love it! Rated 5 out of 5 by Anonymous from STUNNING! Stunning! So sparkly! Picture does not do it justice!